NYCCT Design of Replacement Boilers – KC Engineering and Land Surveying, P.C. 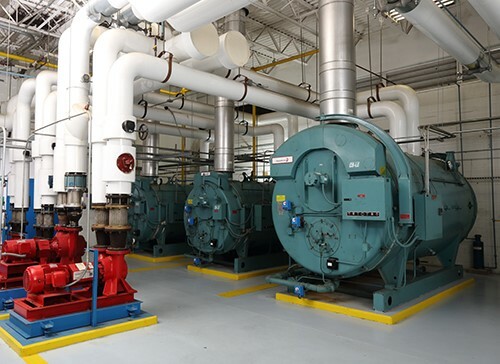 KC was retained by Genesys Engineering to assist with the design of replacement boilers for New York City College of Technology’s (NYCCT) Namn Hall. The existing boilers used to heat the entire building were beyond their useful life and in need of replacement. KC resized the replacement boiler and provided the design of replacement piping systems for the new equipment. KC also provided designs and specifications for ancillary equipment for the new boiler system including piping expansion joints, vibration isolators, stationary floor supports, and flexible connections, as well as other miscellaneous features. All features were designed to withstand pressures of 100 PSI and temperatures of 350 degrees Fahrenheit.